Paleo chef and lifestyle coach Mary Shenouda and Paleo blogger Megan Opel join our host Dietitian Cassie along with guest co-host and RD-in-training Christin Grettenberger today in Episode 99 of "Low-Carb Conversations With Jimmy Moore & Friends!" We're back again today with another look at the real message behind the latest health headlines as we do each and every Friday here on "Low-Carb Conversations." This is probably one of the only podcasts that lets you hear the raw opinions about what's going on out there regarding diet, fitness and health from real people in the low-carb and Paleo community. We are very honored to do thatand it's what keeps us coming back week after week with brand new shows. THANK YOU for showing your support for this show by listening and donating to help keep it going. We're so grateful for people like Thomas, Jose, Caroline, June, Mark, Eric and Barbara who have invested in what we are doing here with their financial support and it definitely helps us keep it going strong. CLICK HERE to add your name to the list of those who are benefiting from what you hear each week on "Low-Carb Conversations." THANK YOU FOR YOU SUPPORT! We've got some good news for you coming up next Friday, February 28, 2014. Our host Jimmy Moore will come out of hibernation from writing his book Keto Clarity: Unleash The Health Benefits Of The Low-Carb, High-Fat Diet to be a part of the epic, CAN'T MISS Episode 100 we have planned for you. He and Dietitian Cassie have quite the entertaining and surprising show to share with you and you're just gonna have to tune in next week to find out what the fuss is all about. But we promise it will be totally worth your while with an all-star line-up of more than a dozen guest friends who will be here to help us celebrate this momentous occasion in "Low-Carb Conversations" history. Mark your calendar now so you don't miss this one. It's gonna be a podcast for the ages! This week, Dietitian Cassie invited a nutritionist and dietitian-in-the-making named Christin Grettenberger from the "Detective Dietitian" blog to join her as guest co-host. They journey through the latest health headlines with two amazing guest friends, Mary Shenouda from "The Paleo Chef" blog and Megan Opel from the "Peaches & Cake" blog. And we bring back our special "Secret Headline" this week as the panel gives their spontaneous reaction to the headline "Kraft removes artificial preservatives in its most popular cheese slices". Listen in to hear these ladies discuss why nutrition can be confusing (and the argument that it really isn't), a stunning admission by the McDonald's CEO that their company is fighting to be "relevant" again, the real deal on the "Simply Orange" brand of juice from Coca-Cola, how a pregnant mom's decision to eat a high-fat diet will affect her baby's brain, and so much more. Plus, we'll have some yummy recipes like Megan's "Pistachio-Crusted Salmon" to share from our guest friends that will have you begging for more! Now it's time to pull up a chair, grab a cup of coffee and let's talk about it! REMEMBER, DON'T MISS EPISODE 100 NEXT FRIDAY! Professional basketball player Kyle Visser and his holistic nutrition student wife Julia Visser join our host Dietitian Cassie along with guest co-host and fellow registered dietitian Aglaee Jacob today in Episode 98 of "Low-Carb Conversations With Jimmy Moore & Friends!" We'll rolling along again on "Low-Carb Conversations" and we hope you'll plan on sticking around with us on Fridays for the foreseeable future. Jimmy will continue to be away for a while (except for the epic Episode 100 coming on February 28, 2014) writing and going through the editing process with his next book Keto Clarity: Unleash The Health Benefits Of The Low-Carb, High-Fat Diet, but Dietitian Cassie will keep things rolling along with guest co-hosts and amazing guest friends. If you enjoy hearing these educated opinions about the health headlines of the day, then we'd be honored to have your support. CLICK HERE to help us keep this show going. THANK YOU FOR YOU SUPPORT! Dietitian Cassie has invited yet another one of her fellow RDs to be her special guest co-host today. Her name is Aglaee Jacob from the "Health With Real Food" blog and these two incredible Paleo/low-carb dietitians compare notes on how they became advocates for real food living. Before getting to their guest friends, Cassie and Aglaee chat about the article Why Are So Many Dietitians Critical Of The Low-Carbohydrate Diets? by another fellow RD named Franziska Spritzler. Cassie and Aglaee are joined by a sensational pair of guest friends in husband-wife team Kyle and Julia Visser. Kyle Visser is a professional basketball player living and playing in his 5th season of the New Yorker Phanthoms team in Germany. His wife Julia is the founder of "Jules' Fuel" dedicated to sharing the benefits of real food, fitness, travel, and purpose in life, including how she convinced Kyle to give a Paleo-styled nutritional approach a try. Listen in as Cassie, Aglaee, Kyle, and Julia give their take on the latest health headlines, including the 9 foods an athlete would never eat, the Coca-Cola ad that was banned in the UK for being misleading, the negative implications of consuming gluten on brain health (explained well in the YouTube video "The Truth About Gluten"), how exercise can be used therapeutically to minimize stress in your life, and a wonderful TEDx Youth talk by Dr. Katherine Reid called "UnBlind My Mind: What Are We Eating?" Plus, don't miss Julia sharing two of her sensational recipes--3-Layered Paleo Shepherd’s Pie and Easy Egg McNothin’. So why don't you go ahead and pull up a chair, grab a cup of coffee and let's talk about it! - Julia Visser from "Jules' Fuel"
- Why Are So Many Dietitians Critical Of The Low-Carbohydrate Diets? - TEDx Youth talk by Dr. Katherine Reid: UnBlind My Mind: What Are We Eating? Paleo bloggers Juli Bauer and Julia Colling join our host Dietitian Cassie along with guest co-host and fellow registered dietitian Laura Schoenfeld today in Episode 97 of "Low-Carb Conversations With Jimmy Moore & Friends!" 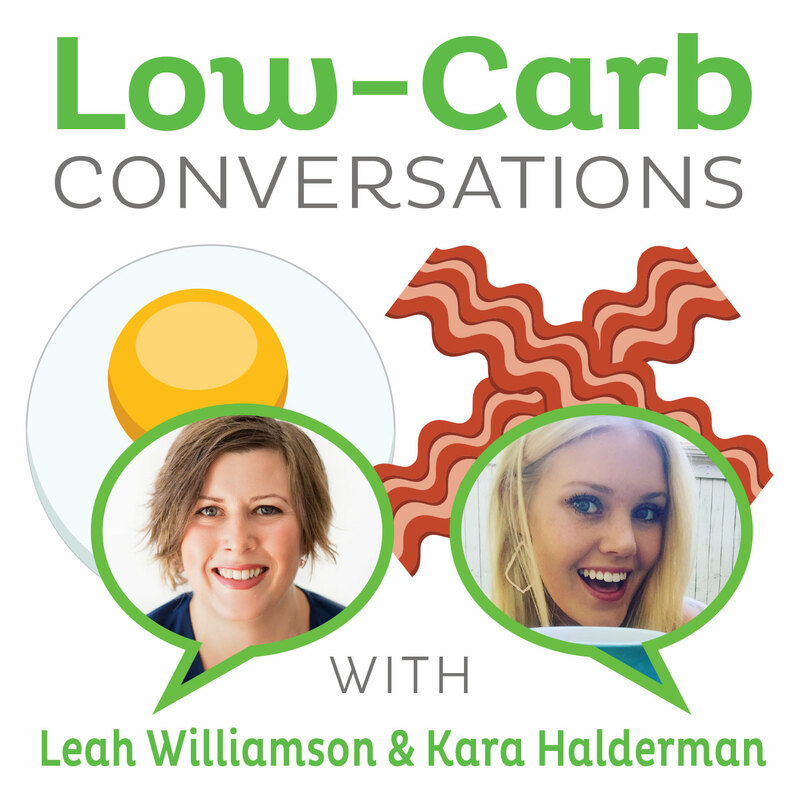 It's been over three months since our last episode of "Low-Carb Conversations" and we've so missed being here with you discussing and dissecting all the latest health headlines. Jimmy Moore is away writing his next book coming on August 5, 2014 entitled Keto Clarity: Unleash The Health Benefits Of The Low-Carb, High-Fat Diet that is sure to follow in the bestselling footsteps of his 2013 release Cholesterol Clarity: What The HDL Is Wrong With My Numbers? (the audiobook version will be available within the next few weeks). Just as we did while Jimmy was away last year with his book, we'll be featuring some guest co-hosts filling the chair with Dietitian Cassie over the next few months (except for our epic Episode 100 that you won't want to miss coming up on Friday, February 28, 2014--MORE DETAILS ON THAT SOON!). Don't forget we are a listener-supported podcast and rely on your donations to keep the episodes coming throughout 2014. We're incredibly thankful for the support of our enthusiastic fans and would be honored to have you join that group who provides us a financial donation if you benefit from this podcast. 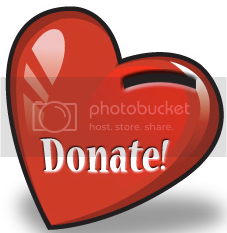 CLICK HERE for a quick and easy way to send $1, $5, $20 or even $100 towards the costs of making the magic of "Low-Carb Conversations" happen on a weekly basis. THANK YOU FOR YOU SUPPORT! With Jimmy away, Cassie invited on one of her fellow RDs to join her in today's episode in the amazing Laura Schoenfeld from the "Ancestralize Me" blog and a staff nutritionist at ChrisKresser.com. She and Cassie chatted about this blog post from Laura explaining the flaws in that U.S. News & World Report ranking of diets that released last month as well as a SheKnows news story that quoted Cassie responding to what U.S. News considers a "healthy" diet. When you get two real food RDs this riled up, it must be an important topic of discussion! 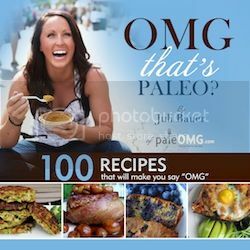 Cassie and Laura are joined by two incredible guest friends in Juli Bauer from the "PaleOMG" blog and author of the cookbook OMG. That's Paleo? and Julia Visser from "Jules' Fuel." This fabulous female foursome had a great time sharing their opinions about some recent health headlines, including four reasons why you shouldn't go on a low-carb diet, more commentary on the U.S. News & World Report 2014 diet rankings, the critical role saturated fat should play within the context of a healthy diet, the World Health Organization (WHO) deciding to pull back the curtain on the health impact of sugar, seven practical ways to begin reducing the amount of carbohydrate in your diet, and so much more! Plus, everyone's favorite segment with delicious new low-carb recipes is back at the end of today's show. I know it's been a while, but you know what to do--pull up a chair, grab a cup of coffee and let's talk about it! - Juli's cookbook OMG. That's Paleo?